A large collection of video tutorials showing how to create a variety miniature nursery/child's room furnishings & accessories, toys and games. Playlist includes 13 tutorials ~ baby carriage, 4 different ways to make cribs, baby care products, changing table, car seat, 2 high chairs, lamp and toy box. *Note~ Many of the tutorials in this playlist are created in 1:6 scale instead of 1:12 but can easily be scaled to the appropriate size. Playlist includes 21 tutorials ~ 4 different dollhouses for the dollhouse, play-doh, xylophone, stacking toy, toy truck, toy train, teddy bear, roller skates, legos, dolls and a variety of other toys. Playlist includes 5 tutorials for a variety of miniature gaming consoles including Playstation, Nintendo and WII. 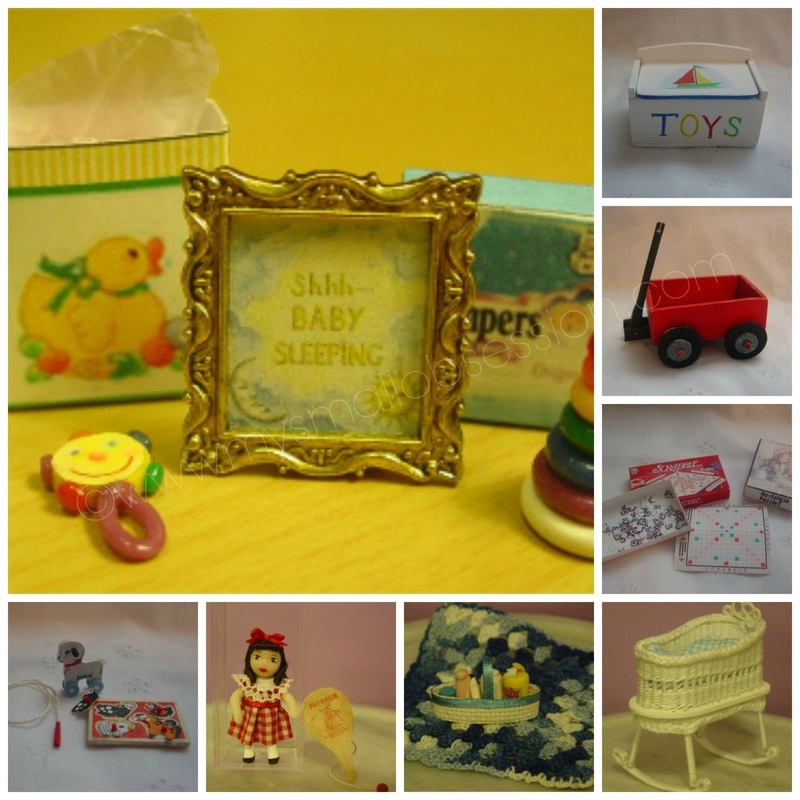 Follow My Small Obsession's board Miniature Dollhouse Nursery Tutorials on Pinterest. Follow My Small Obsession's board Miniature Toys & Games Tutorials on Pinterest.